Progressive Home Health Care is a home health services agency providing convenient nursing care and therapy services to the homes of residents in Florida. 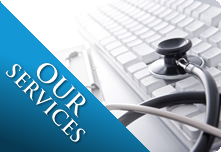 We break fresh ground by approaching your healthcare needs in a holistic way. It is our understanding that your health doesn’t only have to do with your physical conditions but also your emotional and psychosocial wellness. to deliver value-worthy home health care services through nurses, therapists, home health aides and social workers who have been duly screened and trained by our agency. We are fortunate to exist in today’s day and age. Our home care procedures are backed by cutting-edge medical treatment and health management techniques. For you, we employ modern ways to keep you grounded at home - where you are most comfortable. To begin services soon, please contact our office at 561-748-8700. It will be a pleasure to hear from you.